The visually impaired has always been left out of the loop with many phones and even smartphone devices aimed mainly at sighted users. But now all that is about to change thanks to Sumit Dagar who has developed a smartphone with variable braille bumps that change themselves to represent the information. The phone uses a haptic touch screen, which is comprised of a grid of tiny, height-variable bumps, allowing users to feel information. 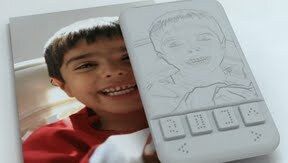 The phone can also act like a translator which can scan text and convert them into braille. 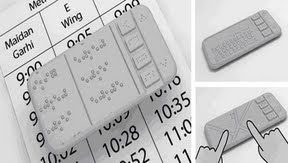 The device is also capable of displaying photos, videos, maps and charts by converting them into braille.